Yesterday at Trinity was a particularly proud day for the club. The hard fought 39-point victory over the 2016 Grand Finalist was a terrific cherry on top of a day that saw us drive awareness and fundraising for a cause greater than both clubs combined, in an unprecedented manner. 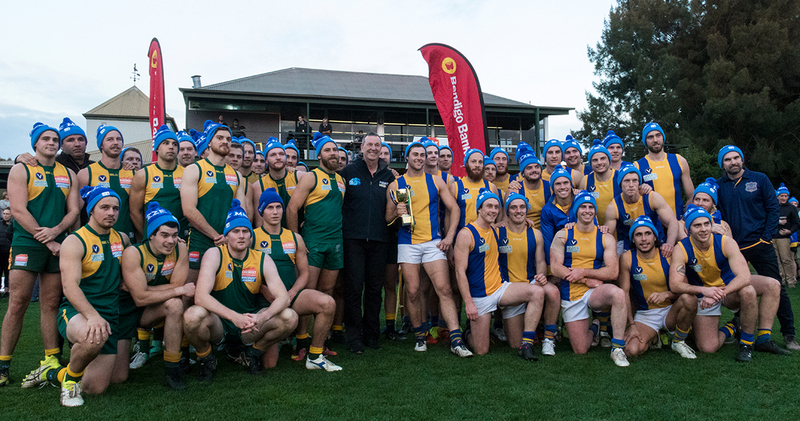 Committees, players and supporters from De La and Trinity embraced the prospect of pioneering of a Cup to raise funds for Motor Neurone Disease and the inaugural Fight MND Cup was born. We’ve raised over to $13K for MND with numbers still rolling in. We thank the Trinity Football Club for their support, and welcome an even bigger event next year. We also thank and acknowledge our skippers Tom Humphrey and Sam Williams along with the leadership group and broader playing group for making such an impactful effort to support the cause. Our long time partner Bendigo Bank East Malvern Community Bank Branch were outstanding in their support of the concept as Presenting Partner and we look forward to evolving it with them annually. We also thank the Old Xaverians Football Club and long time club partner The Racecourse Hotel for their contributions to our MND efforts through beanie purchases. Through the week we welcomed Fight MND Board Member Patrick Cunningham to the club to share the story of his wife Angie’s battle with MND and of the foundation itself. Yesterday we welcomed Pat, his daughter Sophie and legendary former AFL player and coach Neale Daniher to the event and were delighted they could attend, with Neale presenting the Cup to the Dees in a very special post match presentation for both clubs. As mentioned this week, we are fortunate to enjoy a club community that is passionate and engaged. Our ability to harness that energy at times for causes greater than ourselves, such as our two chosen charitable causes in Breast Cancer and Motor Neurone Disease, is a big part of what makes De La a special place to be a part of, and all are welcome. 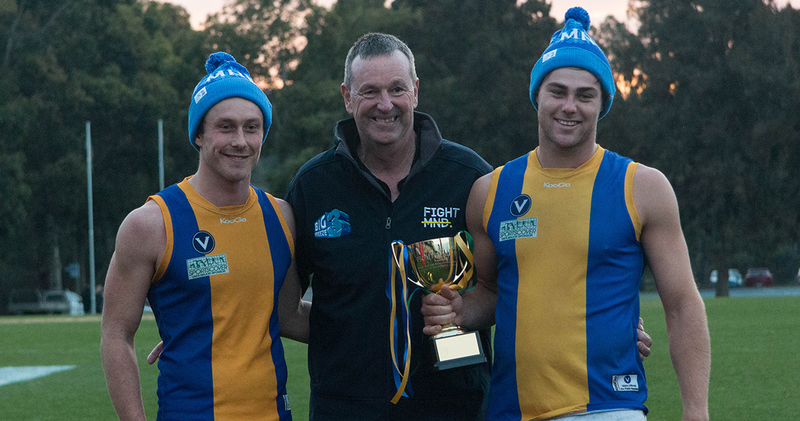 Both clubs still have beanies available for sale this week should you wish to purchase, otherwise jump online at www.fightmnd.org.au.